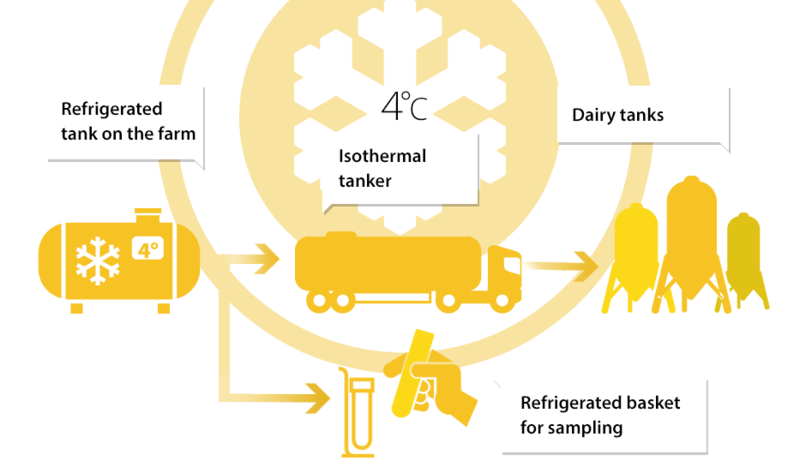 Driven by the shared interest of obtaining milk of the best possible quality, mutually supportive milk processors and producers are organized around milk collection, a critical step in the dairy value chain. Milk collection is orchestrated by processors but involves stakeholders from across the dairy industry. All of them pull together to guarantee the success of this critical step in the dairy value chain. A critical moment. Four challenges. Mutually supportive stakeholders. Collection every 48 hours, hail or shine! On average, 6,800 litres per year with two milking sessions per day. Cows suffer pain if they are not milked. As a live material, milk is fragile and perishable. It must be processed no later than 72 hours after milking. How is milk collection monitored? In France, 98% of cow’s milk is collected for processing in dairies, or 24.5 billion out of 25 billion litres of milk (2015). 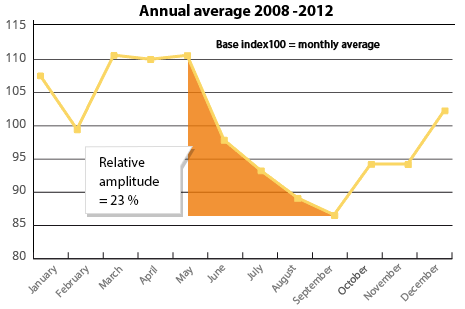 The remaining 2% is used to produce farm cheese (sold directly to consumers). 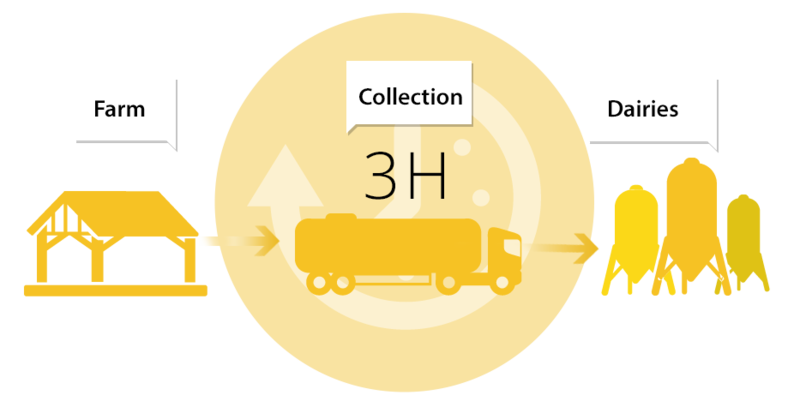 Streamlined milk collection rounds save time and fuel. Some companies use IT tools to optimize rounds. Milk is produced and collected in all French regions! Cooperative enterprises collect 54% of cow’s milk and 62% of goat’s milk. The rest is collected by private companies. In eight of the nine dairy-producing regions, cooperatives are as least as common as private companies. Milk collection is a seasonal activity. In France, milk collection always reaches a peak in May. This is directly linked to milk production varying with the time of year. Our farming systems calve and put cows out to pasture in early spring (March), when the grass grows fast! This seasonality is less pronounced in Germany but more noticeable in Ireland and New Zealand. Milk quality guarantees dairy product quality in terms of organoleptic properties and safety. Dairies optimize their milk collection. They may collect milk from a farmer in their catchment area even if it will be used by another dairy. Driven by this shared interest, the different stakeholders endeavour to find solutions for collecting milk whatever the circumstances. For example, farmers set up an all-terrain platform near the tank for the milk collection tanker. In snowy weather, they work together to ensure that the tanker can get through.